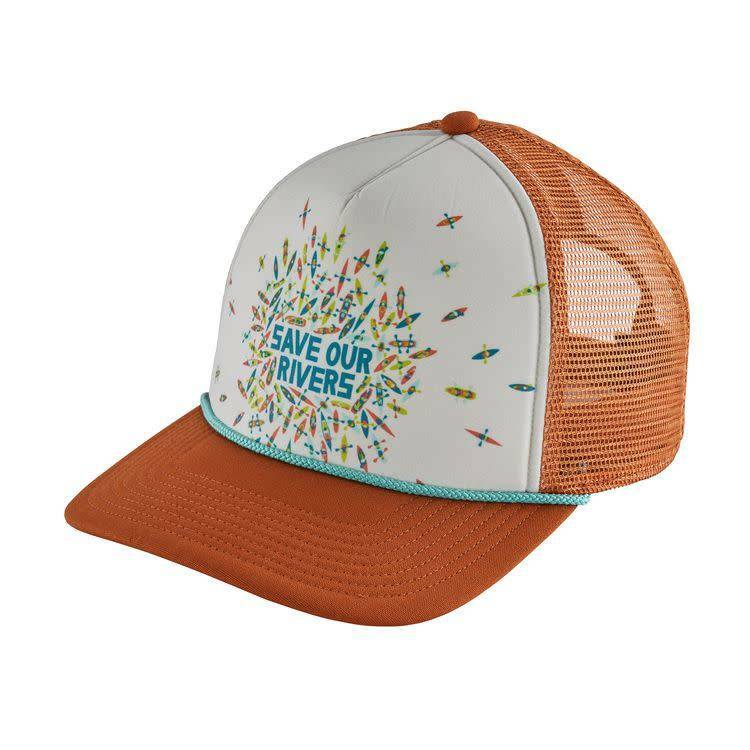 The limited edition Save Our Rivers Interstate Hat features our highest-crown, a broad, seamless polyester foam front and a polyester-mesh back to circulate air. The flat brim is made of 100% organic cotton canvas and has a moisture-wicking fabric headband to keep you comfortable and dry. Adjustable tabs in back secure the fit. Original art by Andrew Holder.